“It’s part of a strategy of the Administration to limit immigration in all its forms, whether it is legal, illegal, refugees, asylum seekers,” King says. While the final rulemaking has not been filed, the Trump administration will reportedly propose a policy that would have immigration officials weigh whether a documented foreigner or their American-born children have been using certain welfare programs — such as food assistance — in determining whether to grant permanent residency status, the first step to citizenship. Susan Roche, Executive Director of the Immigrant Rights Project, says there are concerns about what is known to be under consideration, and the chilling effect it would have. “It extensively expands what’s considered a public benefit, a public charge, and would include things that U.S. citizen children receive, really far beyond the means tested benefit,” says Roche. Roche says it appears to be a continuation of the Trump administration’s effort to make obtaining permanent residency more difficult for legal immigrants. She says it would, over time, reduce the number of immigrants in the country and eventually the number that become citizens. 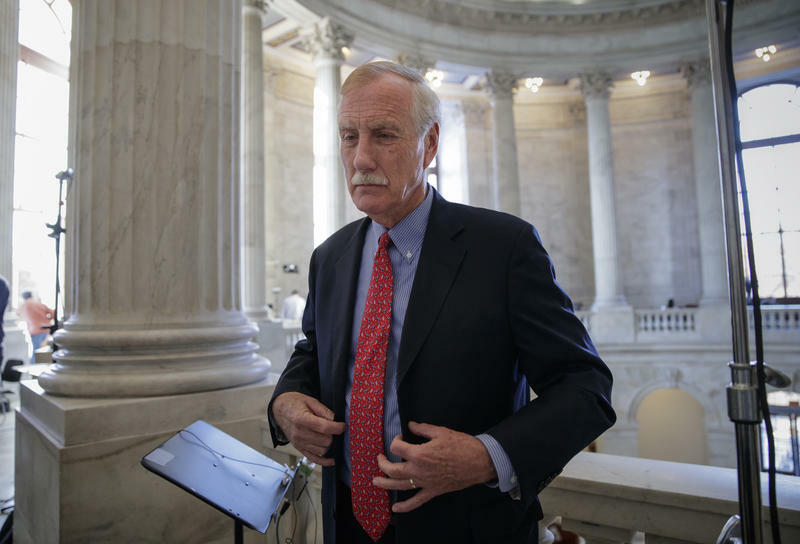 The proposal also concerns independent Sen. Angus King. “It’s part of a strategy of the administration to limit immigration in all its forms, whether it is legal, illegal, refugees, asylum seekers,” he says. King says it’s a major policy change and should be considered by Congress, not instituted by rulemaking. King also says it is bad public policy, given a very practical need for more workers in states like Maine, in which fewer kids are graduating into the workforce. Susan Roche with the Immigrant Rights Project says advocacy groups are keeping a close watch on what is finally proposed.